Bosch’s new cordless reciprocating saw is well-balanced and has plenty of power to be the saw of last resort on your job site. Reciprocating saws are kind of tools of last resort. They’re not the tool you reach for daily in the shop. But if you’re on a job site, and framing has to be rearranged for a remodel, there’s nothing better to slash through studs, nails and whatever else is in the way. In those situations, you need power, light, and maneuverability. Bosch has packed all of that in its new 18-volt cordless recip saw. The Bosch GSA 18V-125 EC features a brushless motor driving a 1.25-inch stroke. It has both orbital and non-orbital action, a speed control trigger, and a maximum speed dial, so you have lots of options for better control regardless of what you are sawing from 0-2,500 strokes per minute. 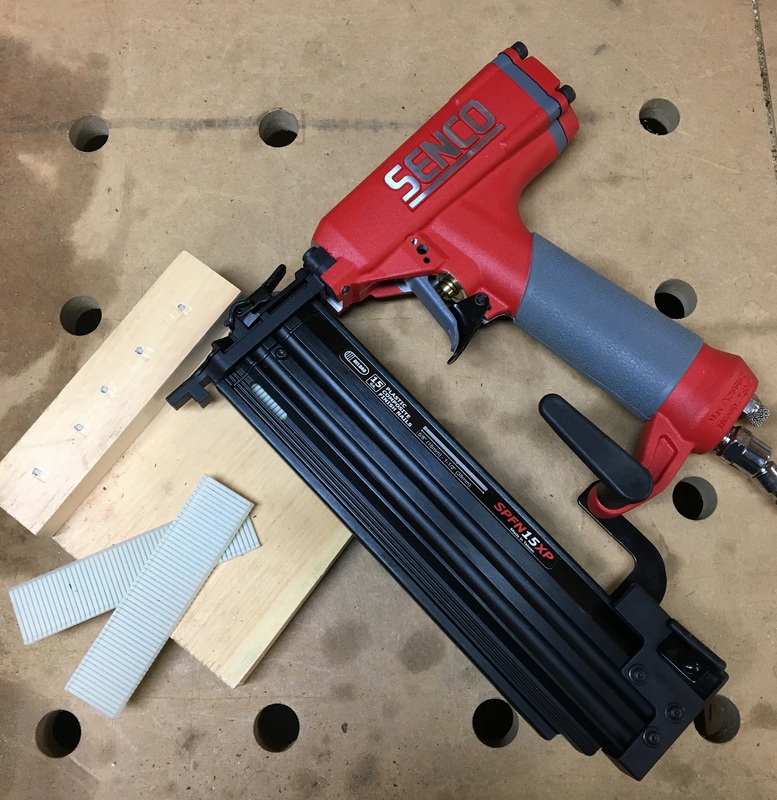 With the battery located in the bottom center of the tool instead of at the handle, the saw has better balance and feels lighter than many other reciprocating saws, cordless or corded. The battery has a convenient fuel level display, but I was amazed at how long it lasted on a single charge even going through tough nail-invested framing lumber. Blade changes are fast and tool-less. The multi-grip design of the handle offers several places to grip the saw for better control and comfort while still reaching the trigger. 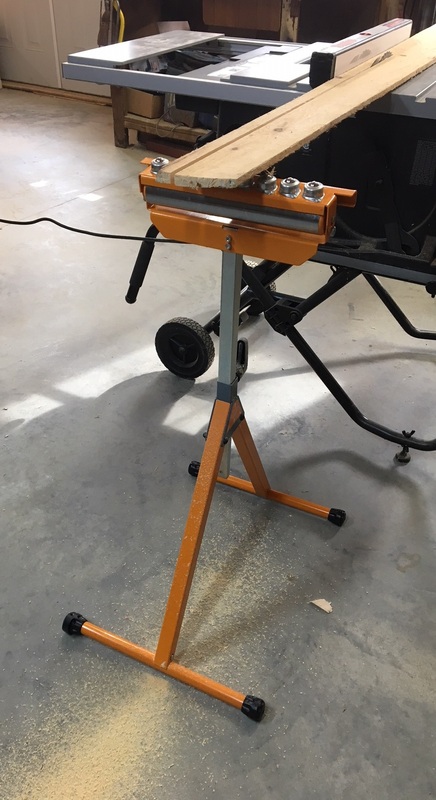 A moveable footplate provides stable footing against the work, and a convenient hook lets you hang the saw on nearby framing while cleaning out the debris you just made. LED lights illuminate what you are doing. I used the saw repeatedly on my current homebuilding project, often to rescue me from my own mistakes. It worked great and I never felt the need for more power to get the job done. 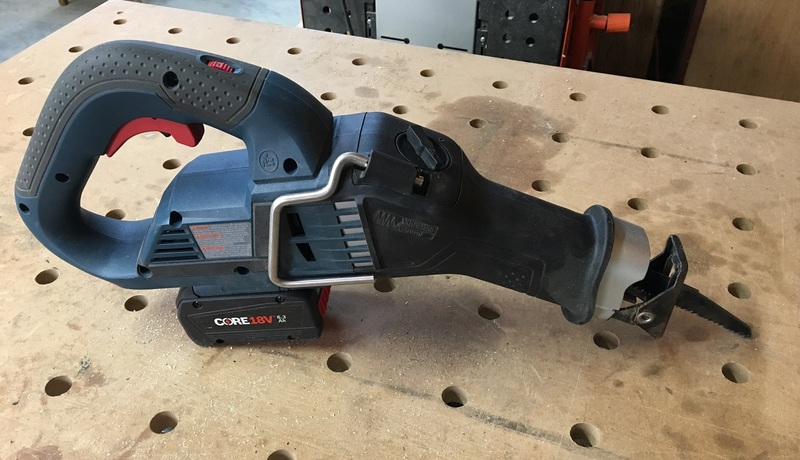 As cordless tools continually improve in power and run time, cords are becoming a thing of the past. It was great not having to wrestle with a cord, and the anti-vibration feature did seem to tame the saw in the hand. I might not need to always use a reciprocating saw, but this Bosch unit sure is handy to have when you need it to come to your rescue. For more information, visit boschtools.com. William Sampson is a lifelong woodworker, and he has been an advocate for small-scale entrepreneurs and lean manufacturing since the 1980s. 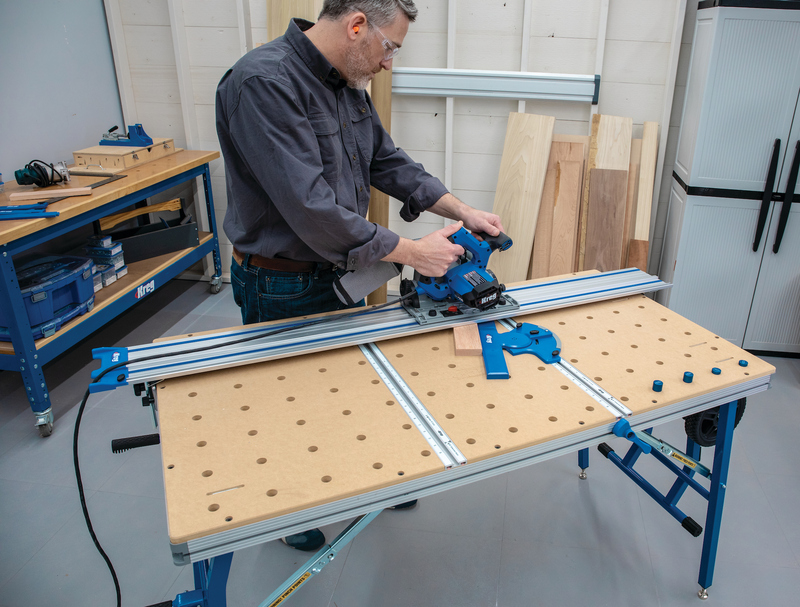 He was the editor of Fine Woodworking magazine in the early 1990s and founded WoodshopBusiness magazine, which he eventually sold and merged with CabinetMaker magazine. He helped found the Cabinet Makers Association in 1998 and was its first executive director. Today, as editor of FDMC magazine he has more than 20 years experience covering the professional woodworking industry. His popular "In the Shop" tool reviews and videos appear monthly in FDMC.